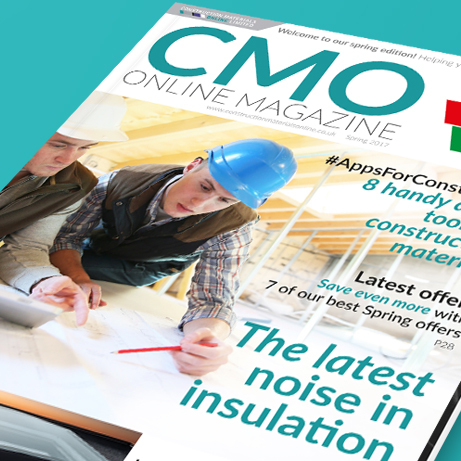 Construction Materials Online have launched the latest edition of the CMO Magazine. The spring 2017 edition features eight handy digital tools for construction materials, the latest offers from all three of our stores, and a feature titled “The Latest Noise in Insulation”. Find out more about the Eden Project’s new 109-room sustainable hotel, meet one of our senior team members Jason, and learn more from Manthorpe about condensation in the roof space. Read your complimentary copy digitally here. 2017 started off strong for CMO as we extended our growing team, with four new members coming on board. Since our last publication in January, three departments have taken on new starters. The sales office has taken on David and Russell to expand the customer service offerings of Roofing Superstore and Insulation Superstore. Our web and marketing department have hired Simon as a Web Developer to continue updating and maintaining our systems, whilst warehouse and logistics have taken on Tom to assist with an increased volume of orders. Having been with us for only a few weeks each at the time of publication, we’re extremely keen to see how our new team members progress! We’d like to take this opportunity to welcome everyone on board and wish them the best of luck in their new careers with us. 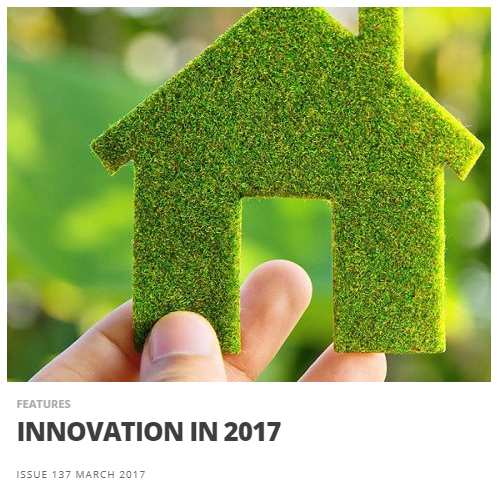 Roofing Superstore’s Chris talked about the impact of the Home Quality Mark in the March edition of ABCD Magazine, while CMO Operations Director Callum considered the top eco trends for 2017 in Construction and Civil Engineering. We were also featured as part of an Insulation Superstore case study for Scaff Haus Garden Rooms in the latest edition of Your Build magazine. The same case case study can be found here on page 20. Can we help get the same kind of coverage for your business? We’re looking for new case studies which, if successful, will be featured in our own editorial content as well as the potential for articles in national media. We’re excited to hear about any works completed with products purchased through Roofing Superstore. To get in touch with us in the first instance, please email marketing@constructionmaterialsonline.co.uk with some contact details. Jason is one of the senior members of staff amongst the sales office at Roofing Superstore. Having been with parent company CMO for five and a half years, he’s extremely experienced in all the products across our site. Day to day, Jason handles the purchase orders that are generated by our customer service team. His wealth of experience and knowledge means he can pick up any mistakes or missing pieces in an order, giving our customers that extra element of service. 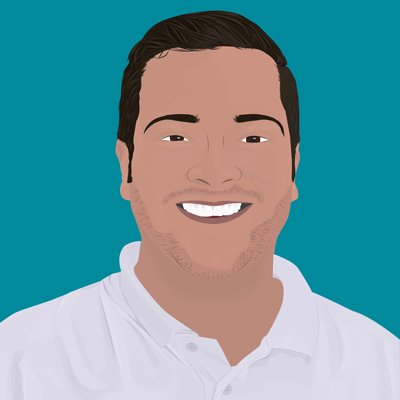 Also responsible for handling international orders that are placed across the three brands of CMO, Jason is well-versed in construction and roofing materials. How many window types can you choose from in Step 1 of our VELUX Window Selector? To enter, click here by 22nd May 2017. 54 out of 112 projects for improving England’s road network, mainly motorways and A-roads, are scheduled to begin in 2019/20. Rushing to release their £11.4bn 5-year plan before the May 2015 election, the Conservative government hadn’t quite nailed down the details of which projects would be of most use and what the precise works schedule would look like. Whilst Highways England has been working on and completing projects since 2015, the National Audit Office (NAO) have said that they’re now under pressure alongside the Department of Transport to bring forward and push back some projects. The Road Investment Strategy needs to be revised in order to keep motorist disruptions to a minimum, 54 motorway and A-road-based projects could cause serious delays for the last three years of the infrastructure upgrades. After previous plans were rejected, Eden Project in Cornwall has been given the green light for a 109-room sustainable and energy-efficient hotel on their existing site. Executive Director of Eden Project David Harland said: “It will be built to the highest environmental standards.” Constructed from sustainable Cornish materials, it will include an orchard, event space, and classrooms for degree-level and apprenticeship courses that the Eden Project run. The investment will be an estimated £8.5 million with company partner Jerry Tate stating that the “building is a unique response to its local Cornish context.” Designed by Tate Harmer the plan is to build the hotel in two blocks to keep height to a minimum and lessen the impact on the surrounding areas visually. The world’s longest immersed tunnel, the world’s longest road tunnel and the world’s longest rail tunnel will all be titles held by the same structure when the 18km tunnel from Puttgarden, Germany to Rødbyhaven, Denmark has been constructed. Two engineering teams, Ramboll-Arup-TEC JV and AF – Hansen & Henneberg, have signed contracts to provide world-class consultancy. Fehmarnbelt Tunnel is the project of Femern, the company hoping to make the journey from Germany to Denmark just 10 minutes by car and 7 minutes by train, cutting 160km off of the total journey distance and saving travellers a 1 hour 40 minute ferry crossing. With an official opening planned for March 2018, work on IKO plc’s new factory in Cambridgeshire began this March. The 470,000 sq. ft. PIR insulation factory will generate around 160 jobs in the local area with the £30m build planned as a ‘great example of UK manufacturing’ by IKO UK group managing director Andy Williamson. 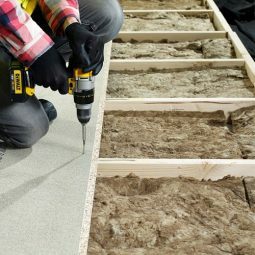 A small portion of the Enertherm flat roof PIR boards manufactured in this new UK factory will be exported to Europe but the majority will be sold in the UK. 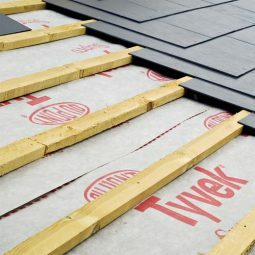 IKO believe this will help the company cut down on carbon emissions are previously the boards were manufactured overseas and imported to the UK. Four UK committees are joining forces to take a look at the scale and possible solutions to the UK’s air pollution crisis. With the Government announcing that toxic air claims up to 50,000 early deaths a year, the inquiry will look at the Government’s proposals for tackling these issues, ensuring the plan does enough to combat current growing air pollution levels and goes beyond this to deliver health and environmental benefits. The 2017 Mayor’s Entrepreneur competition was won by two City, University of London students, Alborz Bozorgi and Ellenor McIntosh, for their fantastic idea for dissolving wet wipes. Twipes are designed to fit onto toilet roll holders and they dissolve in water within 3 hours. London’s Mayor Sadiq Khan heralded the practical and eco-friendly idea as “a testament to the creativity and talent in London’s world-leading universities.” Twipes and it’s creator are now working to refine the overall idea, creating prototypes of the packaging and manufacturing their very first batch. Look out for them in your local supermarket soon! For those who aren’t familiar with Calder, could you summarise the company and what it offers? Calder are one of the UK’s leading building materials suppliers distributing lead sheet and ancillary products to customers throughout the UK. We manufacture lead sheet to BS12588 in a modern world class environment based in Chester. Our precision engineering business provides high quality tailored solutions in to customers worldwide with a diverse product portfolio and customers base including nuclear power, nuclear medicine, x-ray, electronics and defence industries. With 250 years’ experience we are the centre of a global business. How did you come to work with Calder? Lead was historically sold mainly within the plumbing side of the construction industry. Calder recognised this changing in the early 2000’s, when roofers were increasingly called upon to weatherproof roofs using lead. At this point, Calder contacted me as a roofing specialist. 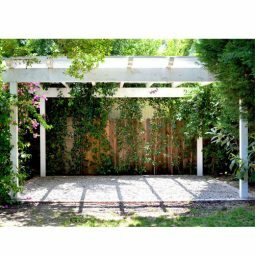 I had the knowledge of the products and marketplace that was needed to develop this area of the business. Today 80% of lead is fitted to roofs. What’s the biggest change you’ve noticed in the roofing industry most recently? As a manufacturer, the consolidation of our customers (namely merchants) has changed the structure of our marketplace. Today, there is a smaller group of large builders’ merchants, as well as an online offer led by retailers like Roofing Superstore. Where price was always the biggest factor, today’s market demands more than that throughout the supply chain. Customer service levels are more stringent, for example. Also, the impact of environmental standards means we have progressively more important responsibilities as manufacturers. We are accredited to ISO 14001 and have the advantage of our product being 100% recyclable, a great benefit to our customers. Interestingly though, in spite of this and our commitment to manufacturing innovation, the values regarding the uses and reuses of lead remains the same as it was 200 years ago! Our customers often tell us that leadwork is one of the biggest areas they and their teams could improve on. Can you recommend how our customers can go about this? 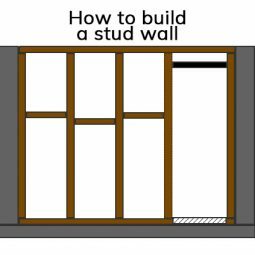 Customers can start by referring to our Guide to Good Leadwork. It has lots of great information in there! The LSA (Lead Sheet Association) is an independent body which runs CPD courses on behalf of its members (of which Calder is one) at its own state of the art training facility in Kent. They also offer e-learning and online assessments for anyone further afield.